For once, the instant critical analysis of an Apple product announcement was muted, not ecstatic. The new iPhone was faster than its predecessor and included a better camera. You could get it with double the storage. But the case design hadn't changed a bit, and most of the changes involved subtle refinements. People expected something eye-poppingly new; Apple delivered a phone that didn't tamper too much with a proven success. The iPhone in question? Nope, not the iPhone 4S that Apple unveiled in Cupertino, Calif., last week. I'm thinking of the iPhone 3GS, which the company announced back in June of 2009. Much of the punditocracy declared it to be a disappointment. (Here's one example.) Consumers, however, seemed pleased. So much so that it's still with us more than two years after its release  a rare accomplishment for any gadget. 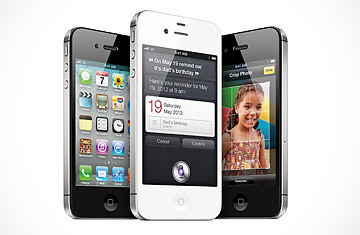 It'll remain on the market, along with the iPhone 4, once the iPhone 4S hits stores on Oct. 14. As for the 4S, the Apple rumor mill has always been fueled as much by fantasy as by fact, but in the months leading up to last week's launch, it switched into some sort of hitherto unknown turbo mode. There was going to be a radically new iPhone in a thinner, "teardrop shaped" aluminum case. The iPhone's screen was going to get bigger. T-Mobile was going to start selling the new iPhone, or maybe it would be a Sprint exclusive. The iPhone was going to use Near Field Communications (NFC) to let owners use it as a digital wallet. Wait, did I mention that there were going to be two new iPhones? And that one would be a cheaper, smaller model? In the end, Apple released one iPhone, with a faster processor, better battery life, a camera packing multiple improvements, and an improved, built-in version of Siri, the remarkable voice-controlled software the company acquired last year. It didn't up the display size or change the case. The phone is now available on Sprint as well as AT&T and Verizon, but not on T-Mobile. And there's no NFC. In short, everything about the iPhone 4S is evolutionary, not revolutionary. It kept all that was good about the iPhone 4 and improved a few things in a strategic fashion. That's perfectly O.K. In fact, it's worthy of celebration. Evolution may not get anyone's pulse pounding, but it often pays greater dividends in the real world than audacious changes that cry out: "Look at me!" Big changes often bring major downsides; smart tweaks, however, are almost always nothing but good news. With the 4S, for instance, Apple skipped NFC, a technology that's still a work in progress. But it did improve the phone's existing camera in just about every way it could: it upgraded the sensor, the lens, the flash, the video-capturing capability and the image-processing software. People who buy the 4S will benefit every time they snap a photo. Read more about the life and legacy of Steve Jobs in the tribute book from TIME, Steve Jobs: The Genius Who Changed Our World.